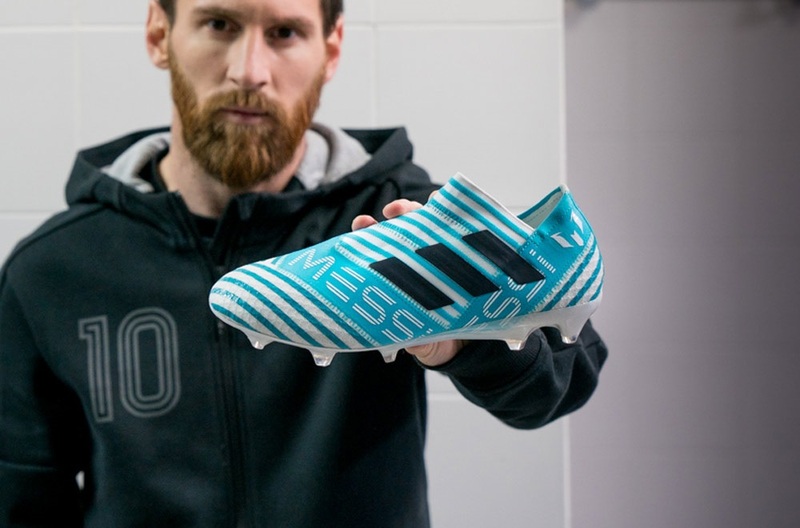 adidas has dropped the second signature Messi colorway in the Nemeziz series, and the man/myth/legend is already banging goals out on them! Last night during Champions League action, Messi wore the new White/Legend Ink/Energy Blue in his personalized laced version. That makes 2 games and 5 goals, not a bad way to showcase a new colorway! Everything about the boot has been modified to Messi’s expectations. For example, the upper features the same Agilityknit 1.0 forefoot found on the now retired MESSI16+ series. 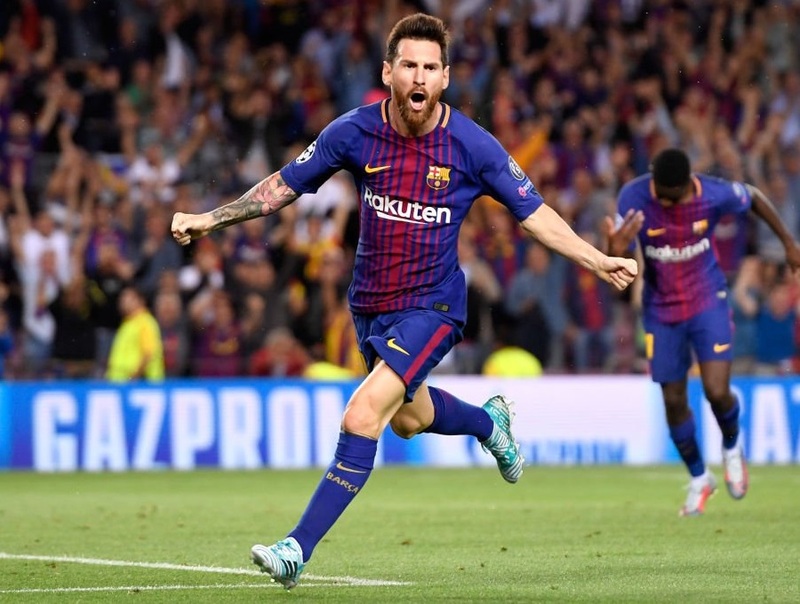 The same is true underfoot, where the soleplate features a modified Gambetrax soleplate to suit Messi’s wishes, the same one also found on the MESSI16+. adidas has taken key pieces that the GOAT deems to be complimentary to his playing style.